If you are looking for professional Wedding day or special occasion Airbrush Makeup in Worcestershire, you have come to the right place. I very often get asked by clients what the difference is between traditional application make-up & airbrush application make-up. There’s quite a vast difference between the two and here I will explain and explore those differences & compare the two, hopefully allowing you to come to a decision on which is best for you. I am always happy to offer further advice when we meet. Bearing in mind that either choice is down to personal preference & a good makeup artist should be able to apply either & ensure that it lasts the day/night & looks great. Let’s start with the Traditional Makeup. Usually applied with fingers, brushes or sponges & coming in many different forms from liquid to powder, creams to gels it’s very versatile. Traditional make-up products can be used for anyone & are readily available. *easy to find a product that is suitable to your skin type, tone & colour. *products are readily available for purchase & easy to reproduce the look at home yourself. *not as expensive as airbrush. *more difficult to conceal scars, pigmentation & pimples. *can feel heavy & cakey on the skin. *will require more touch-ups throughout the day. *more unhygienic due to the use of tools requiring regular sanitising & deep cleaning. Also, dirt from hands can cause a build-up of bacteria that can clog pores that lead to spots & pimples. (This said, a pro artist will use disposables & keep all tools & equipment sanitary & ensure that all products are thoroughly sanitised in between clients). Airbrush foundations are usually water or silicone based. It is thinner than traditional makeup so it can be passed easily through an airbrush gun. Due to its thin nature, it is sprayed out as a fine mist that can be built up to the desired coverage. It smooths out imperfections easily with minimal product creating a flawless looking finish whilst still allowing the skin to breathe. Airbrush make-up doesn’t soak into the skin, instead, it sits on the surface making a great long lasting base to any look. *lightweight formula with full coverage. *looks flawless in person & photographs amazingly. *hygienic does to not coming into contact with face or hands. *allows the skin to breathe. *can be flaky on dry skin if not hydrated properly. *difficult to reblend. If you do rub & the makeup moves it can be more difficult to reapply. However, if it’s applied correctly & allowed to dry properly this shouldn’t be an issue. *more expensive. The price tag is higher compared to traditional products. Due to the nature of the product & the purchase of the correct equipment & the training courses that are involved, most artists will charge more for airbrush applications. *more difficult to remove. Silicone airbrush products need to be removed with an oil-based cleanser & then the skin cleaned thoroughly again afterwards. So what are your thoughts now? Hopefully, this has answered a few of your questions. I personally love airbrush make-up because it evens out the skin tone so well & lasts really well. I do however love traditional application just as much. It boils down to personal preference & after all what suits one, may not suit another. As your makeup artist, I will want to know and listen carefully to discover what your usual routine is, check out your skin & then make a judgement call. As with all make-up, there’s no right or wrong & as long as you feel comfortable & look a million dollars it doesn’t matter which you prefer. If you have any comments or would like to ask any questions, don’t hesitate to contact me. I am a naturally creative & artistic person. I love designing makeup to show you how amazing you can look. For bridal makeup, special occasion makeup or photographic makeup in Worcestershire, Herefordshire or Gloucestershire just give me a call. Let me create a relaxed atmosphere and produce the perfect look to suit your personality and all your assets to make you look beautiful and feel fabulous. 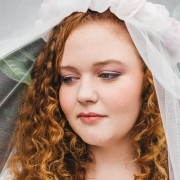 I am a fully qualified and very experienced Bridal Makeup Artist based in Worcestershire working with clients throughout Worcestershire, Herefordshire and Gloucestershire. Makeup is not just my job it really is my passion. Try my FREE pre-trial wedding makeup consultation. A trial is included in all my wedding makeup services. Bridal makeup is, so important I will help you get it right.